Now that all the hard work is done, this turn key 6 family, built in 1989 post lead paint law, is a solid investment moving forward. Fully rented with 5 two bedroom units and 1 single bedroom unit. Paved off street parking for 11 cars, fenced yard area and located within walking distance of downtown. The current owner has updated the roof, many windows have been replaced, low flow toilets installed, updated carpeting, vinyl floors and exterior doors. Units have been painted when vacant. 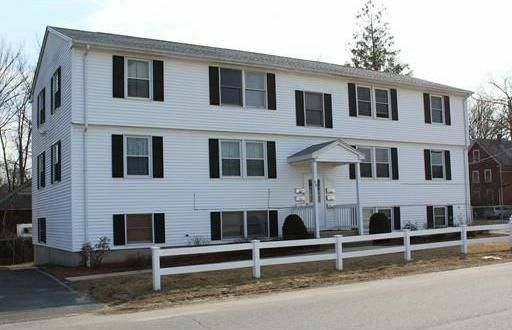 This is the cleanest, most well maintained income property in the area with current town inspections completed. Coin op laundry in lower level provides additional income. All units include electric range, water heater, refrigerator, electric heat and individual electric meters. House electric meter for common areas and electric water heater for laundry room. Low maintenance exterior with vinyl siding, gutters and downspouts. Current owner uses a management company but little need moving forward.